Some of you may not be aware that we have such a large lovely studio! Over 1000ft of space, this photo just shows the front camera room, but we also have a reception room/makeup area,production room,small kitchen,prop storage closet,washroom (that doubles as a changing room) and of course my office. 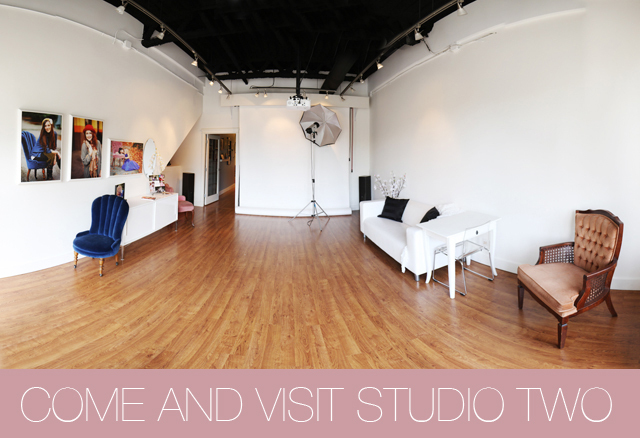 More photos to follow, but you can see more if you visit Yelp….we have a little video on there with Abbye & I talking a bit about the studio and how we work. Please feel free to visit us by appointment so we can give you our full attention and show you all the wonderful images on the walls. This entry was posted in Uncategorized and tagged north vancouver photography studio, studio two photography, studio two photography studio. Bookmark the permalink.